Waters encloses the annual contribution of the Elmore Chapter, Order of the Eastern Star. 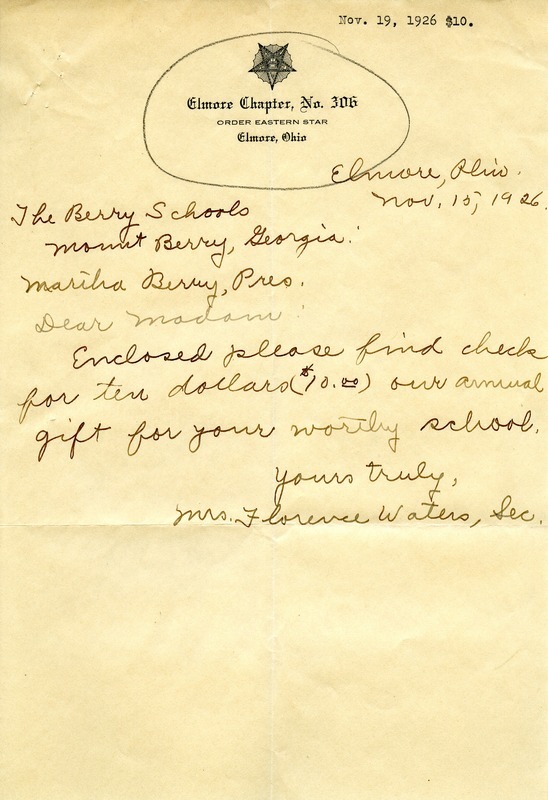 Mrs. Florence Waters, “Letter from Florence Waters to Martha Berry.” Martha Berry Digital Archive. Eds. Schlitz, Stephanie A., Sherre Harrington, et al. Mount Berry: Berry College, 2012. accessed April 24, 2019, https://mbda.berry.edu/items/show/3693.